This year, LG launched the LG G4 and LG V10, two flagship smartphones packed with top-end features. If you’ve recently switched from an iPhone to the new LG G4 or V10, you may wonder how to transfer all of your iTunes songs over to the Android device for entertainment on the go. Well, luckily, there are several third-party programs allow you to transfer iTunes music to LG phone. Here we’re going to share a powerful but simple-to-use one for that. Read on and check out. 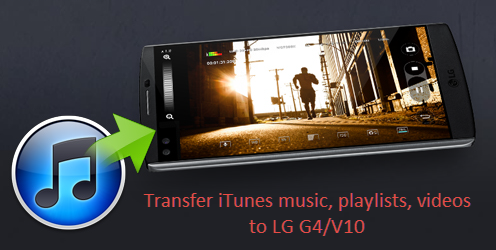 To import music from iTunes to LG G4 or V10, you’d better using third-party software such as iTunes to Android Transfer. This powerful application breaks down the barriers of iTunes and Android devices, allowing Android users use iTunes just like an iOS device. 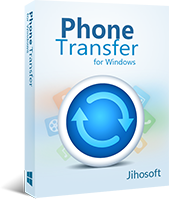 With it, you can transfer iTunes music, playlists, videos, photos, and even contacts, text messages, calendar, etc. to LG Android devices. 1. 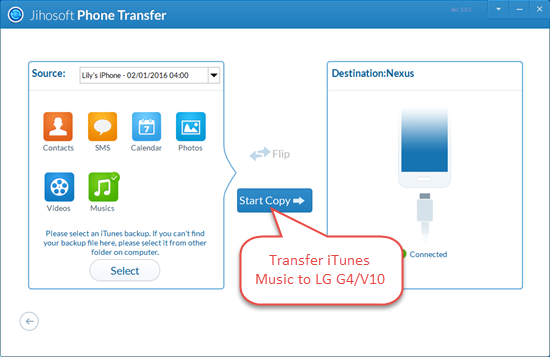 Download the iTunes to LG Transfer software, install and run it on your computer. 2. From the “Restore Data” tab, select the “From iTunes Backup” option. The program will detect all your iTunes backups on this computer. Select the one you need from the drop-down list. 3. Connect your LG G4 or V10 to the computer with a USB cable and wait for the program detect it. 4. Tick “Music” or any other data you wish to copy, then click on “Start Copy” to begin transferring. That’s it! You now have iTunes music, playlists, and videos synced to your LG Android device. It’s worth mention that this tool works for not only LG phone, but any other Android smartphone or tablet from manufacturer like Samsung, HTC, Motorola, Google, Huawei, etc.